Enjoy this slideshow where experts from around the US share their insight about business growth! It’s critical to learn to say NO in business. I discuss the importance of doing this with JJ Ramberg on MSNBC’s Your Business. I’d love to hear your experience saying NO to an opportunity that simply didn’t align with you company’s goals. 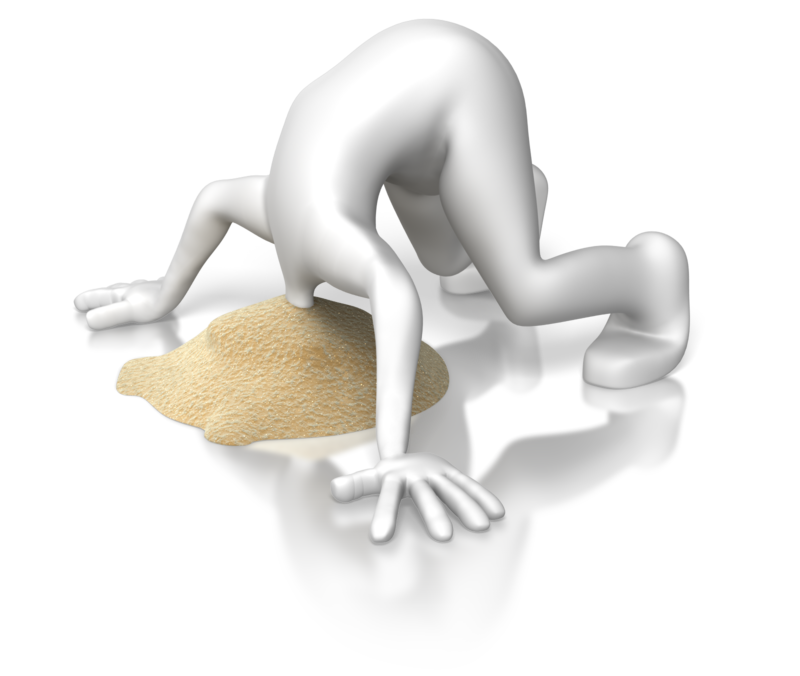 Ever have one of those days (or weeks) when you just felt like sticking your head in the sand? I love a good challenge and embrace the opportunity to learn from every scenario presented to me. But I have no patience for people who don’t practice a high standard of business ethics and morals. In this month’s blog, let’s talk about why shared business values are so critical in selecting your partners, clients, customers and anybody with whom your business interacts. I admit it, I’m a bit of a domain hoarder. In fact, I own over three dozen domains. I’m a marketer still plagued by the fact that I didn’t buy marketingedge.com in time. So now whenever an idea for a product or service pops in my head, I check to see if the domain is available…and buy it. They automatically renew, so oftentimes I forget I own them – which can create issues…. Recently, an organization that I did business with a few years ago decided that they should be the legal owners of a domain that I bought in 2008. This is a group to whom I had donated hours and hours of my time to help them create their product. Instead of picking up the phone to call and ask me to transfer the domain to them, the head of this non-profit organization hired a lawyer (who I presume works pro bono) and sent me a certified letter DEMANDING that I turn over the domain to them. As a small business owner getting a letter from a law firm via certified mail does not constitute ‘a great day.’ I turned to two different legal experts for advice and spent hours piling through contracts since I needed to know my rights. Frankly, I was shocked. If you’ve done any work with me, you know that I am a huge supporter of small businesses (for profit and non-profit). It’s simply not part of the ethical business standard that I follow to try to cause harm or disrupt the operation of any other organization. I won’t get into the legal issues here, but both lawyers assured me that I had not done anything wrong and could not be held liable. Nonetheless, I spent days dealing with this before I spoke to the organization’s president. What was most surprising and what I wanted to know was why she decided to hire a lawyer rather than simply calling me. Her response? It was easier to hire the lawyer. REALLY? When did hiding behind lawyers become the easiest way to handle conflict... especially when one party doesn’t even know that conflict exists. A simple call would have been more than sufficient to resolve the issue. I would have given her the domain had she just asked. Instead, this non-profit organization forced me to hire my own legal experts to confirm my rights. In the end, I have agreed to give them the domain because I still believe in the stated mission of the organization and it is the right thing to do. But I’m disappointed (no, horrified) by this organization’s actions against me and by the fact that their stated mission to support small business owners somehow did not extend to me. Contrast this recent domain-name trouble with an earlier one. About a year ago, I received a call from an organization that was running a national event called The Small Business Tour. They were using the domain name: thesmallbusinesstour.com and contacted me because I owned SmallBusinessTour.com (which, at the time, automatically directed to my website m-edge.com). It was causing confusion amongst individuals who wanted to register for their tour. They were interested in purchasing the domain from me. The woman who called me was terrific and we had a great exchange about our business models and goals and quickly recognized that our missions intertwined. She asked me if I would be interested in being a speaker and sponsor for the “Tour.” To make a long story short, I pointed my site to their site (it’s still pointed there) and also got involved with the event. It was a win-win and they are great people whom I totally respect. Both of these incidents raise the question: Should goodwill be a core value of a business or organization? Where do YOU draw the line for what constitutes right and wrong in terms of ethical and honorable business practices?